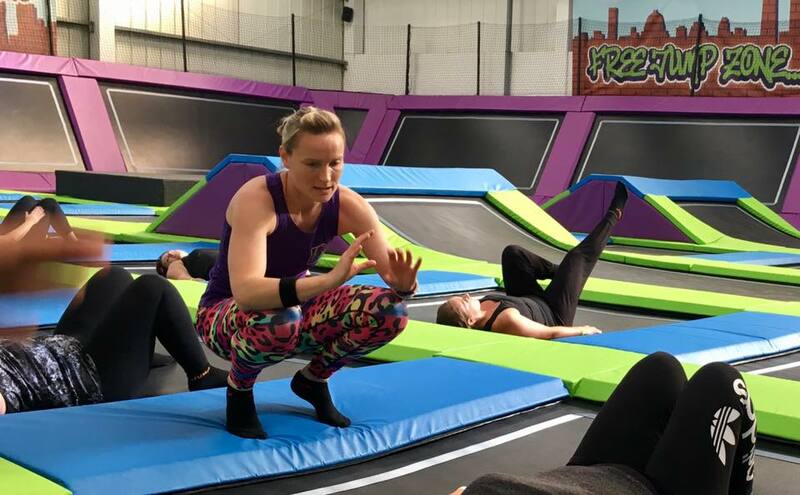 We caught up with Ria, our resident Bounce FIT instructor and a demon on the trampolines! Who is Bounce FIT for? Do you have to have a certain level of fitness before you take part? Bounce Fit is designed to be suitable for all fitness levels, there are options throughout the class depending whether you want a slightly easier option or a harder option. 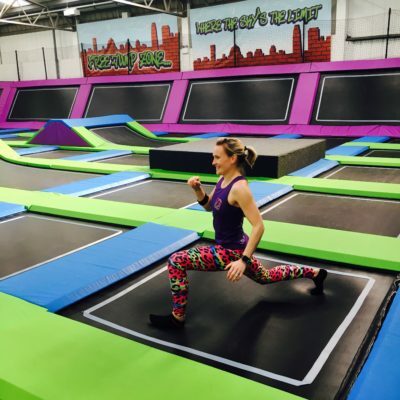 What makes Bounce FIT different to a workout in the gym? It’s fun, sociable, & doesn’t require any equipment other than yourself, the trampoline & occasionally resistance bands. What are the health benefits of exercising on trampolines? What would you say to anyone who would like to try Bounce FIT but is a bit nervous about it? Once you take your first bounce on the trampoline you’ll forget where you are & what your doing & will spend the next 45mins having fun, smiling & getting an all over workout. The class is new so everyone that comes is brand new on their first session. You can’t do anything wrong or look silly as there are options for all exercises. The class is a mix of cardio (bouncing/rebounding) & toning/strength exercise. We work the whole body top to bottom. With all the bouncing the legs & core have no choice but to get a workout as well as the heart & lungs so we add in press ups, dips, planks, straight leg sit up etc to let you catch your breathe but also work the rest of the body. Is Bounce FIT fun or do you make your bouncers work hard?! Bounce Fit is definitely fun, you might not feel like your working hard but you do. If you want to get yourself moving & just having fun then you chose the exercise option that allows you to do that & if you want to work hard you take the harder option & push it. No judgement is made. As long as you have a smile on your face that’s the main thing. Finally, what’s the best bit about Bounce FIT, in your opinion? Getting to jump on a trampoline for a whole 45minutes to great music where you don’t have to share with others or the kids. How many exercise classes can you say you’ve laughed & smiled through the majority of the session?! Thanks Ria! You can find out all about Bounce FIT here and join a class on Mondays or Wednesdays. See you soon!